Awaji Island is located in the Seto-nai Sea. This area has been famous for its great culinary culture ever since the Nara Period (AD 700). 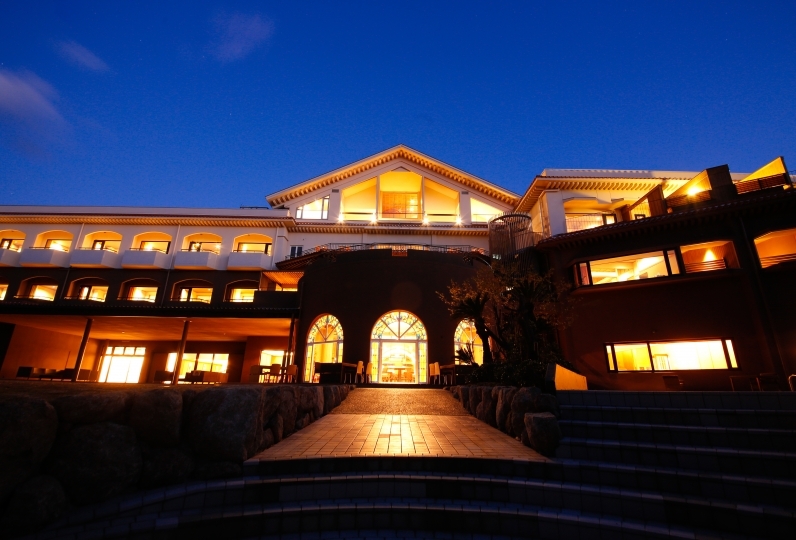 The name of our hotel, ‘Yumesenkei Bessoh Amahara’, derives from, ‘Taka Amanohara’, the place where the deities dwelled according to ‘Kojiki,’ the oldest chronicle existent in Japan. 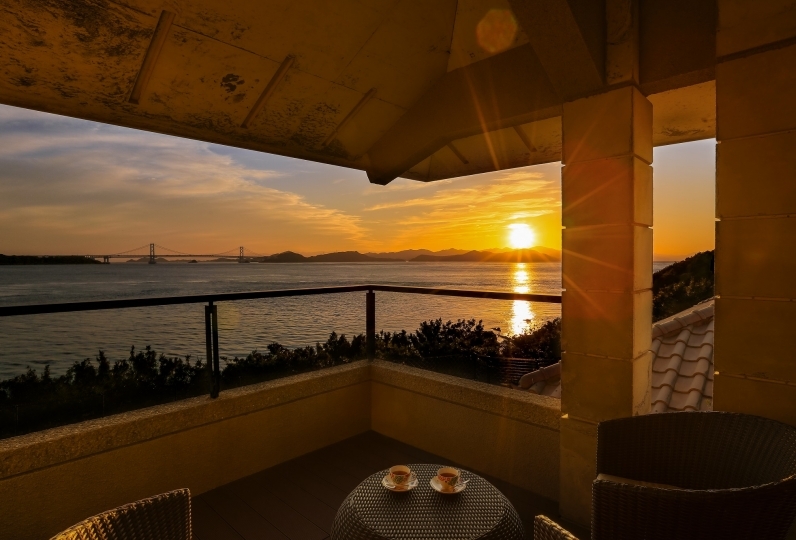 When you pass through the gate you will encounter a beautiful garden, which is the pride of this hotel, along with the stunning nature of Awaji. 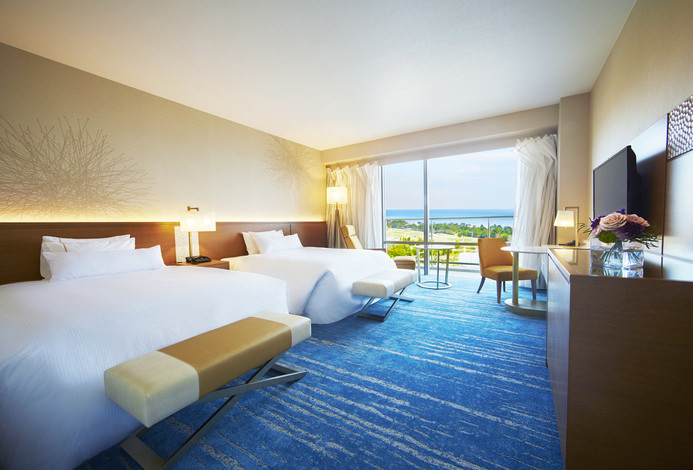 The large guest rooms includes an outdoor spa facing towards the sea. 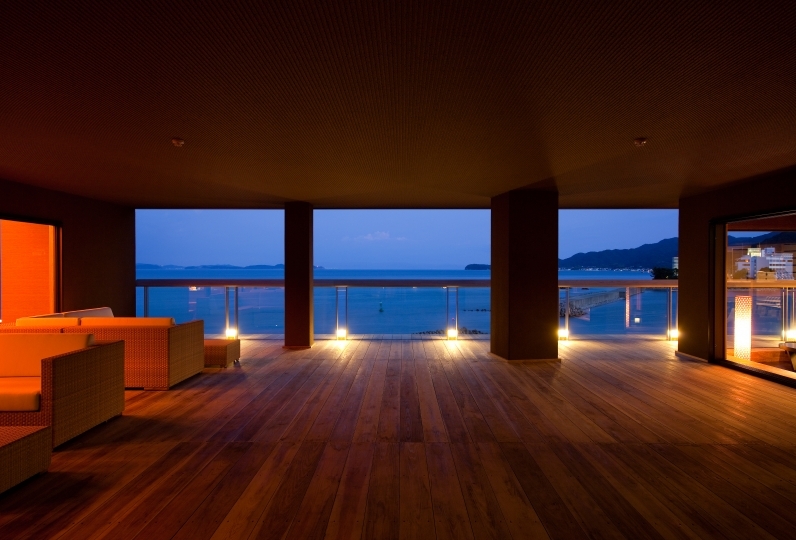 As you view the sea from your window you will instantly feel closer to the nature of Awaji Island. We believe the nature truly stimulates your appetite, which makes our culinary experiences rather exquisite. 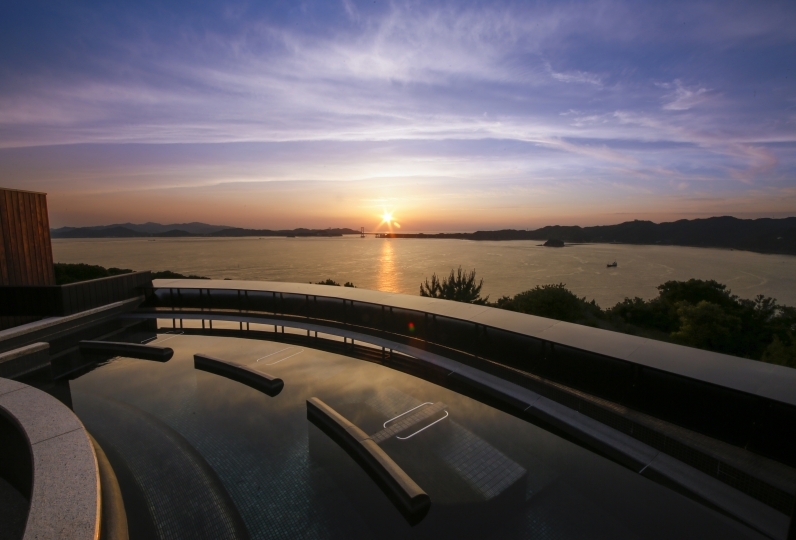 Like your own personal seaside villa, enjoy your own time as you feel the energy of the island's ocean, sky, and land. The other day I stayed for the third time. The rooms overlooked the sea and the facilities were wonderful and very satisfying. The service was good despite the fact that there were a lot of young people, and the amount of dinner was just fine and I felt better than last time. It was breakfast that I felt a little disappointing. The menu was almost the same as the previous one, and there were not many types, and the dressing at the salad bar corner did not have a lid, so I could not shake it, and it was disappointing that a large amount of skimmed oil was given out. However, it is a very nice hotel overall I would like to stay again. Thank you for the other day. I was really happy that my mother changed the sashimi to shabu shabu in accordance with the treatment. Thank you for your attention and service. The food was also very satisfying taste and quantity. However, although I asked for a meal from half past five, it was about five and forty five minutes that the drink came out, and finally, although the drink arrived when I was tired of waiting, the staff members I forgot to take it home. This time I didn't know how to open the bottle opener, so I returned to another bottle opener. Also, the staff suggested that the drinks could be ice-free, so I ordered it, but I was surprised that the drinks I came had ice. Also, the course was finished at around 7:45, so I could not wait until the menu came out late. I am sorry that the staff seemed busy, but I wanted you to bring it a little earlier. The toilet of the public bath Kuniumi-no-yu was so dirty that I felt nauseous and I immediately contacted the staff. Overall the food taste and service was very good, but I felt it would be nice for the staff to stay a little more secure. As it is more than 30,000 lodgings, after all, it will seek perfection. For all dining plans you can choose coffee or tea. Some meals may differ due to purchasing situations. We will post the "Autumn Menu" as soon as we decide on the items. ・Children charged the elementary school fee will have a "children kaiseki plan" ready. ・2 meal plan for infants will have a "children lunch" ready. ■For breakfast we will have a Western-Japanese buffet ready. Both dinner and breakfast will be "Seasonal Pleasure"
You can enjoy the menu of 'Bankunmei' which is a famous shop around Kobe Ashiya. ※For customers who are interested please let us known in the free comment section. 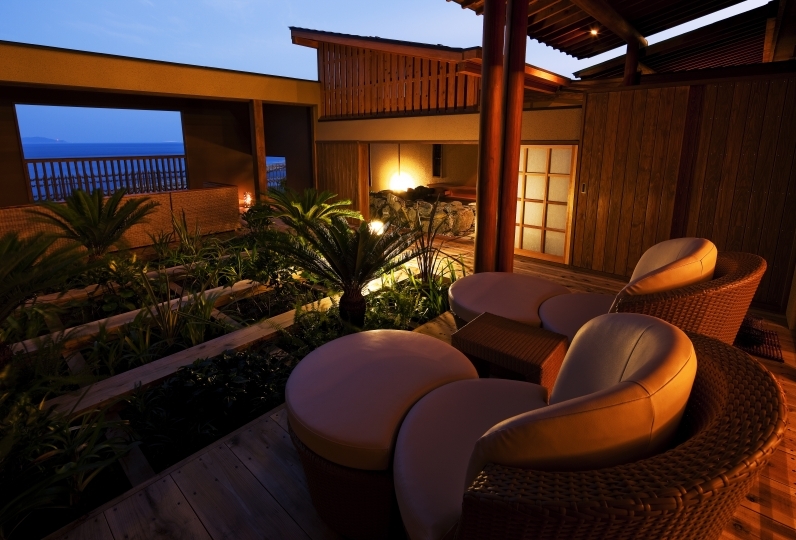 A wide tea lounge that overlooks the garden and marina. Play darts and billiards while enjoying our carefully picked Japanese and Western liquors. ※Easy to use fishing rod and bait. You can not use your own personal fishing rod. 7 fishes maximum that you can take home. Take a bus bound for Sumoto Highway Bus Center. 5 minutes from the bus center by shuttle bus.